Did you know that July is National Ice Cream month? Makes since, right; especially during one of the hottest months of the year! According to the International Dairy Foods Association or IDFA, in 1984 President Ronald Reagan designated July as National Ice Cream Month, and the third Sunday as National Ice Cream Day. 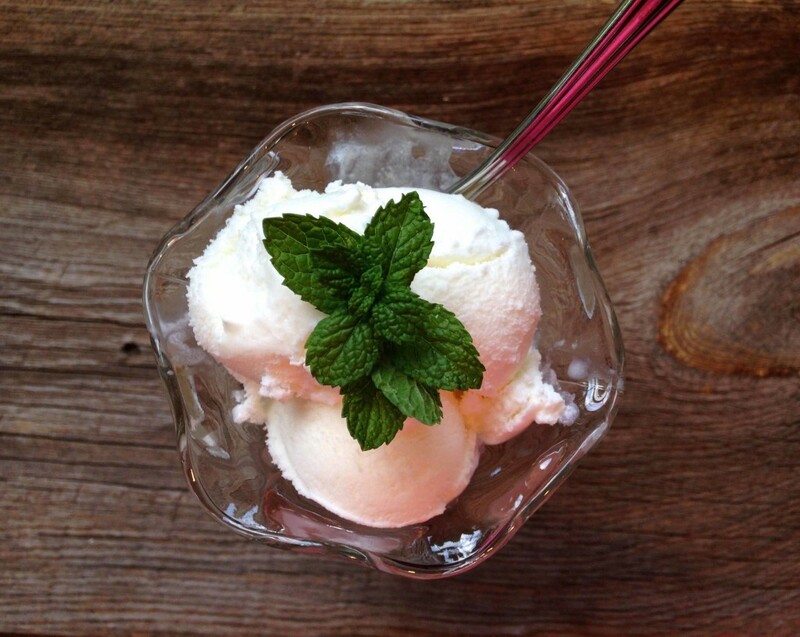 This year, July 20, 2014 is National Ice Cream Month, so get your ice cream makers ready!!! 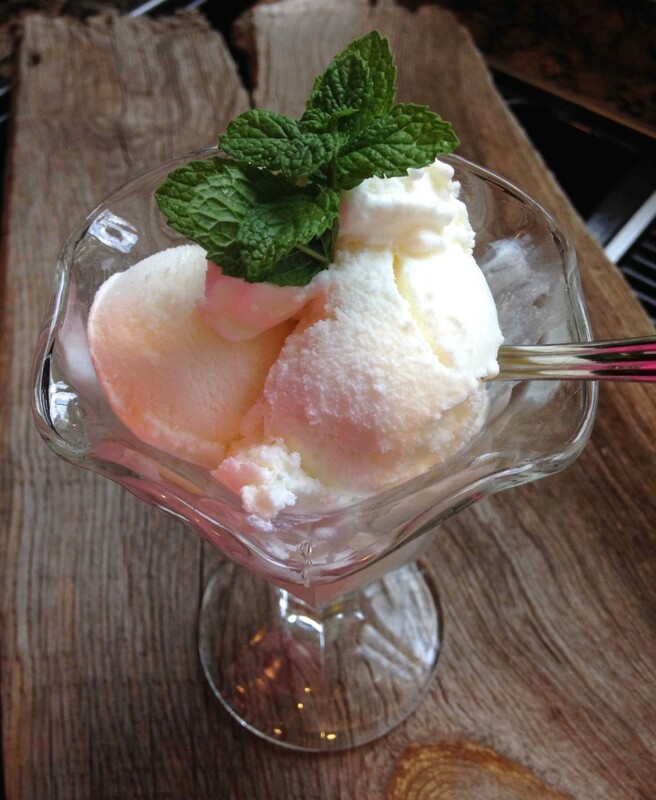 If you’re looking for a quick and easy recipe, then look no further than this Old Time Vanilla Ice Cream, courtesy of Emeril Lagasse via the Food Network. With only 5 ingredients and less than 5 minutes of prep time, you can have the homemade version in less than 30 minutes! After prepping, you simply pour the ice cream mixture into your ice cream machine, and let it run! My machine took about 25 minutes to get thick, and then you pull it out (feel free to eat some if you like soft-serve style ice cream), or immediately put the ice cream in a container to freeze until firm. Not shown in these pictures, but I like to add crushed double-stuff Oreos, and if I have any on hand, I’ll put some Reddi-wip on top! Did you also know that this ice cream is “Philadelphia-style/American” ice cream? There’s actually two basic types in which David Lebovitz talks about in his book, The Perfect Scoop: Ice Creams, Sorbets, Granita’s, and Sweet Accompaniments. French-style ice cream is a cooked custard made with egg yolks. This style of ice cream tends to be smoother and silkier, due to the emulsifying power of the egg yolks, which get cooked on the stovetop, requiring a bit more time and effort. 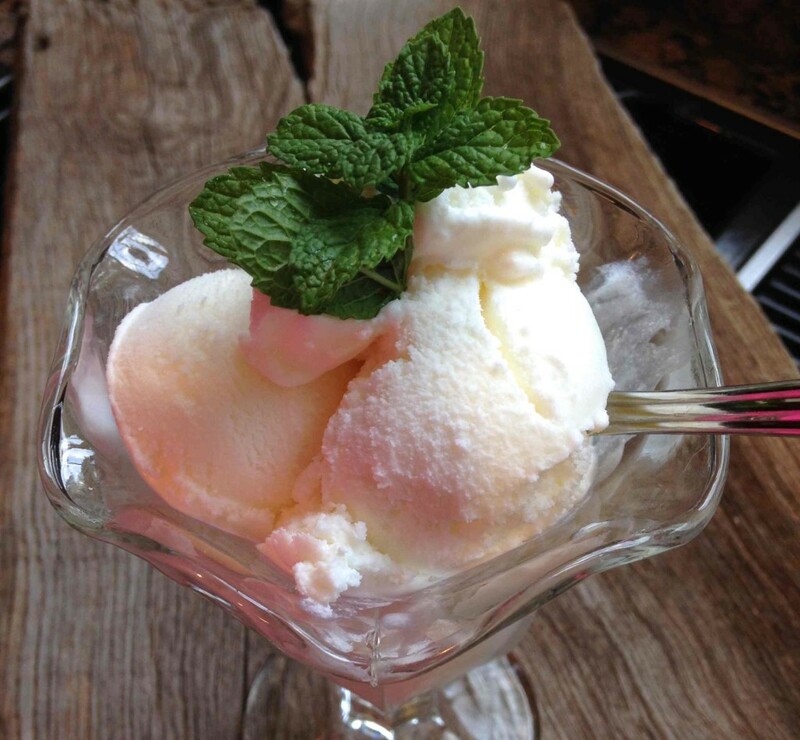 Philadelphia-style ice cream is made with cream or a combination of cream and milk, but without eggs. This style can simply be mixed or pureed together, chilled thoroughly, and then frozen. Since there are no egg yolks, Philadelphia-style ice creams tend to be a bit firmer, freeze harder, and have a somewhat chewier tester. One advantage is that they’re a little lighter in taste and easier to make. 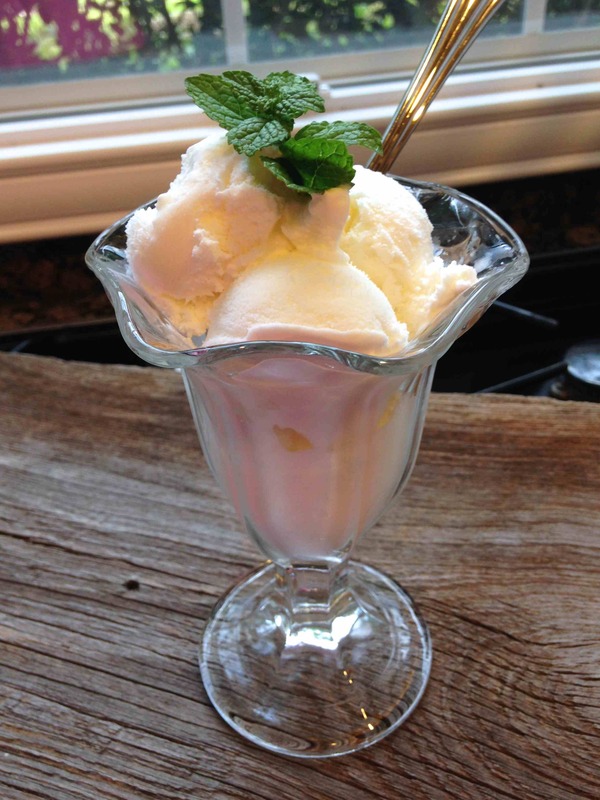 For a French-style vanilla ice cream recipe, click HERE. Compliments of Alton Brown, it uses 8 large egg yolks, so it’s extremely smooth, and despite all the work, it’s the best homemade ice cream recipe I’ve ever made! 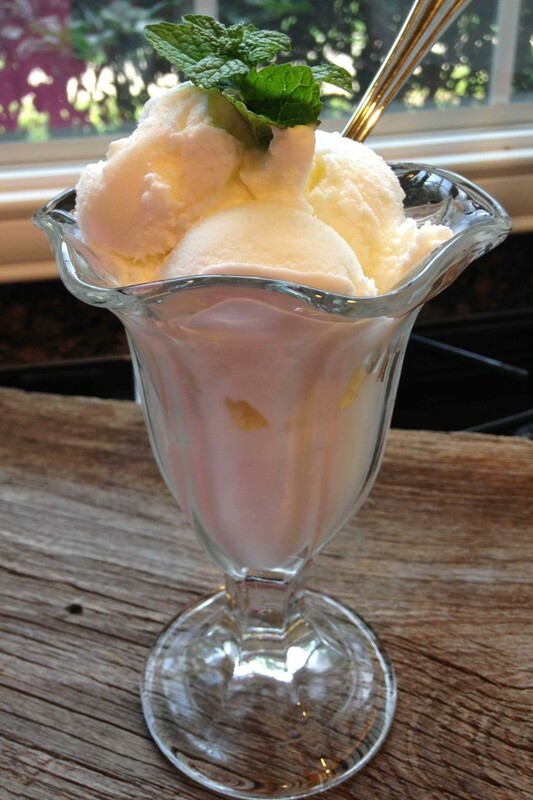 Otherwise, if you’re in bind, try this Philadelphia-style vanilla ice cream and enjoy on a hot summer day! Whisk all ingredients together until sugar dissolves. Pour into the bowl of an ice cream machine. Freeze according to the manufacturer's instructions. After the ice cream is made, transfer to an airtight container. Cover tightly and freeze until ready to serve. When ready to serve, garnish with toppings of your choice, example: crushed Oreos, chocolate curls, chocolate syrup, sprinkles, etc. Vanilla Ice Cream. The Smoothest, Richest, and Most Creamy Ice Cream You'll Ever Eat! Kenny's Peach Ice Cream and Happy Belated Fourth of July! Nitrogen + Smoke = iCream Cafe!